Q. Why is it so important to start working early on your interior design project? A. Great interior design projects can not be rushed. They are created by interviewing the best interior designers and artisans. Then, working together to cultivate ideas for color, texture and effect — testing them on a presentation board or mood board. If you try to rush this process, your project will reflect it. It is meant to be a fun experience. But if you find yourself hurrying through your interior design project, don’t be surprised if stress comes knocking at your door. Q. How are your interior painting services different from other companies? A. Your walls are our canvas. Through our use of the best painting practices, we hope to help you create the perfect painted wall. Before we get started on our interior painting services, everything that has any chance of getting paint on it is taped, dropped and covered. Drift from dust is controlled with dust shields. You can’t hurry preparation. Painting is easy, it’s preparing for the painting project that takes the most time. All holes are filled, even the smallest pin holes. All patching is primed and caulking is done where needed. Your woodwork is also evaluated to determine whether more detailing needs to be done. Finally, we clean each layer to ensure the perfect finish. By lightly sanding each layer, it smoothes the finish, removing any chunks, and also helps create a better bond or “tooth” for the next layer of paint to better grab a hold of. And all walls are sanded, from top to bottom, before the final coat of paint is applied. It’s all these reasons and more that allow us to create the perfect painted wall. Q. What do you charge for your interior painting services? A. Of the wide variety of painting companies in the Midwest and nationwide, the pricing of our interior painting company can be found somewhere in the middle. While there are many companies to choose from, our goal is to present clients with the best interior painting techniques, using only the best paint from leading brands like Sherwin Williams and Benjamin Moore. 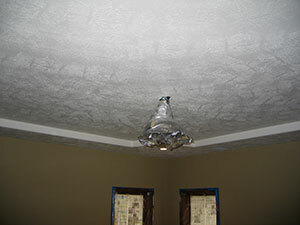 We do not use a contractor medium grade paint. Q. Can you help us with choosing and coordinating our new paint colors? A. Absolutely. 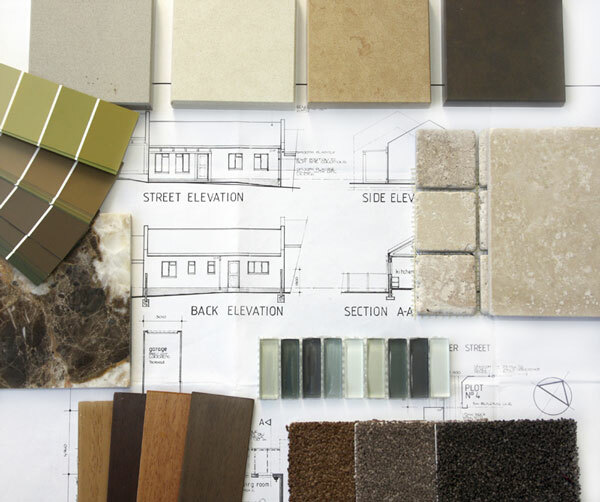 At Bella Faux Finishes, we offer complimentary color consulting on every project. We understand that after looking through several paint color fan decks, the process can become somewhat overwhelming. We will share some ideas about the science of color to help you control the mood and drama of each room. Q. We have crow’s foot texture on the tray ceilings in our dining room and master bedroom — which we feel looks really plain. Do you have any ideas to make these areas unique? A. Ceilings offer a huge opportunity to create drama in your home. The best part about a tray ceiling is that the area is usually small so your investment is more affordable than what it would be otherwise. The cost of our decorative finishes are based on square footage. You could probably complete the renovations on your ceiling at the same cost as, let’s say…a quality chair. 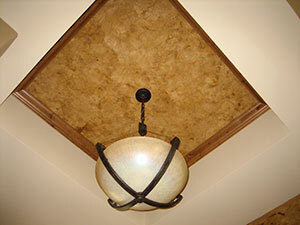 Regarding the crow’s foot texture on your ceiling, that’s easy for us to remove and float smooth. To view a variety of project photos, visit our photo gallery. Q. How busy is your schedule throughout the year? A. It really depends. Sometimes our schedule fills up a year in advance, other times we will have sporadic openings throughout where we can come in and complete a project. If you are considering using our services, it is usually best to contact us in the early stages of your interior design project so we can go ahead and lock in your dates. Q. We do not live near Sioux Falls, South Dakota. How far will you travel for a project? A. At Bella Faux Finishes, our service area expands across several cities and states (including South Dakota, Iowa, Nebraska, Minnesota, North Dakota and Wisconsin). We are always looking for a fun project in which to share our passion of art. Since 2005, we have managed both small and large projects involving Venetian plaster, Italian finishes and faux finishes. To see whether you are in our service area, give us a call. We can also set up a time for a video conference or GoToMeeting to exchange ideas. Q. What should we do if we are interested in your decorative finishes but don’t want to feel obligated if we ask you to come over and then change our mind? And if you later decide you would like meet us in person and look over some samples, we can arrange a consultation. There is never a hint of obligation to work with us. We are just glad to have the opportunity to meet you and hear about your project. Q. 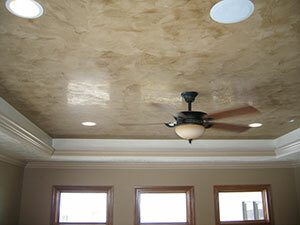 What are your prices for your decorative finishes (Venetian plaster, Italian finishes and faux finishes)? A. We have decorative finishes for almost every budget. Our finishes are priced per square foot in relation to the difficulty of the finish, the cost for material, and time involved to create the finish. 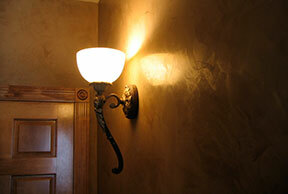 We have decorative finishes that can start as low as $1.50 per sq ft and go as high as $18.00 per sq ft.
Q. Are you bonded and do you carry commercial insurance and workman’s compensation insurance? A. Yes, we are bonded and carry the highest levels of commercial insurance and workman’s compensation. We will provide you proof of insurance before starting your project. Q. Do you require a signed agreement and deposit to start a project? A. Yes, once your design project is agreed upon, you will need to sign a document specifying the terms of the agreement. Our policy requires 50% down in order to cover costs associated with materials. The remainder is due upon our completion of your project. On larger projects, the down payment is usually less. A. Yes. For your convenience, we accept American Express, Visa, MasterCard and Discover. Q. Where can I learn more about your Venetian plaster, Italian finishes and faux finishes? A. Go to our resources page. Once there, you will find articles about our decorative finishes. You can also view our photo gallery to see examples of our interior design projects (Venetian plaster, Italian finishes, faux finishes, interior painting, wallpaper services, etc. ).